​ at galleries outside Mangawhai. Within our DNA we carry the journeys of our ancestors. We are each the sum of their triumphs and of their traumas, and are the repositories of all they have endured and overcome. 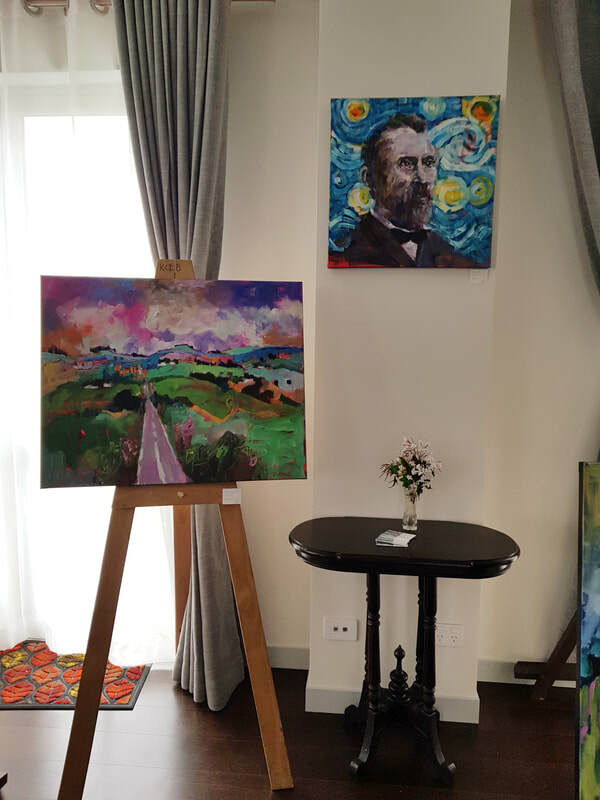 Artists are notoriously restless, absorbing stimuli from the environment that gives them sustenance as acute observers of their place and human nature. These observations they transmit to their chosen media. 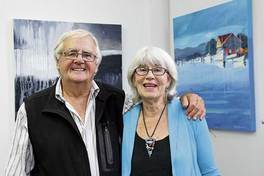 Peter's paintings and sculptures are a record of his intellectual and physical wanderings around our planet, connecting his native Europe to our island home in the South Pacific. He is both exile and supreme connector, an innovator, yet also the inheritor of memories. His Magyar ancestors journeyed from Siberia to present day Hungary, carrying with them a distinctive language and culture. Their migrations inspired awe and fear in the Western European mind in the guise of Atilla the Hunn. The name 'Panyoczki' reflects migrations of Slavs to the heart of the Austrio-Hungarian Empire. Peter, however, also carries the trauma of his own exile with his parents from his native Hungary to the sanctuary of Switzerland, when in 1956 Russian tanks rolled into Budapest to crush the Hungarian Uprising. 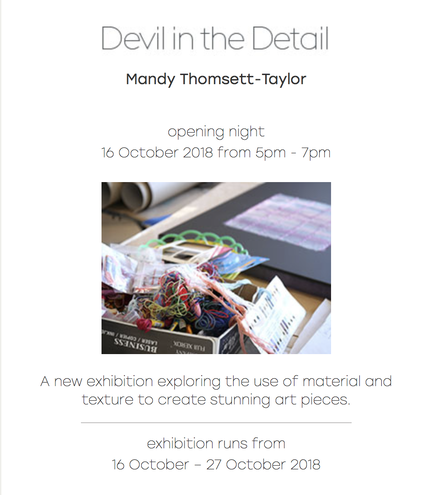 “Devil in the Detail” Mandy Thomsett-Taylor exhibits at The Grey Place, Grey Lynn, 16 - 27 October. 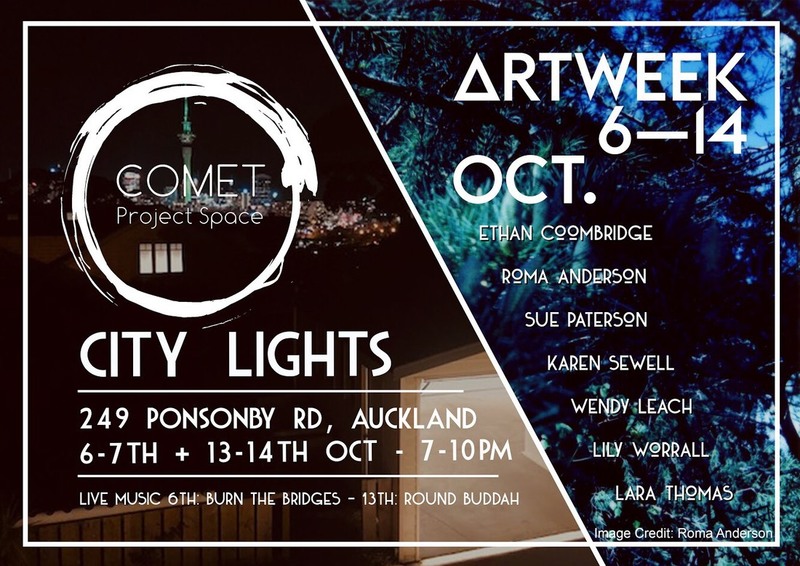 ​'City Lights' - Artweek Auckland. 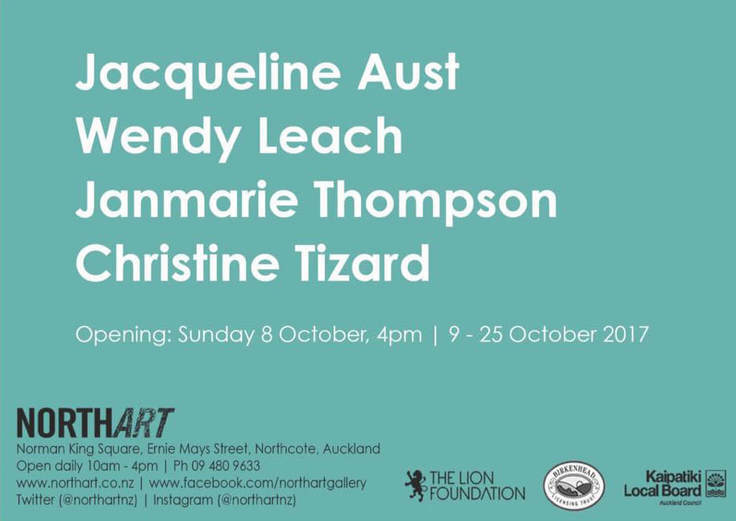 ​Wendy Leach exhibits in group show at Comet Project Space, Ponsonby. 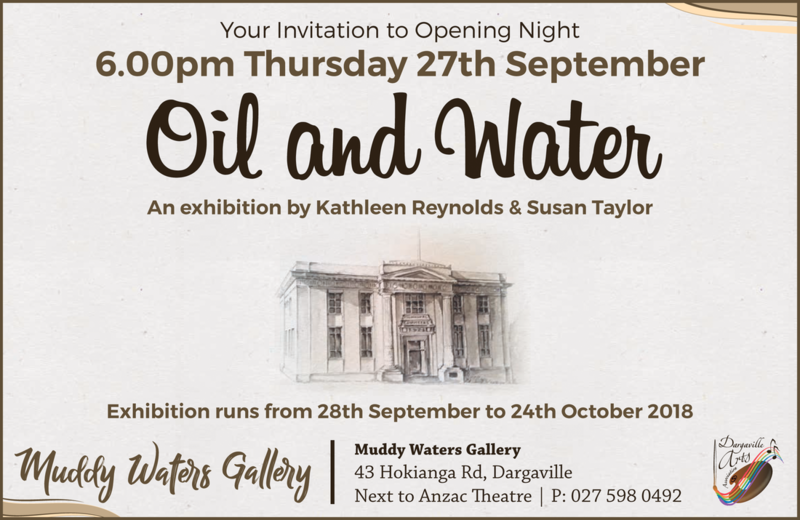 ​Kathleen Reynolds and Susan Taylor exhibit at Muddy Waters Gallery, Dargaville. A4-paper prints which make up two carefully collated boxed sets. 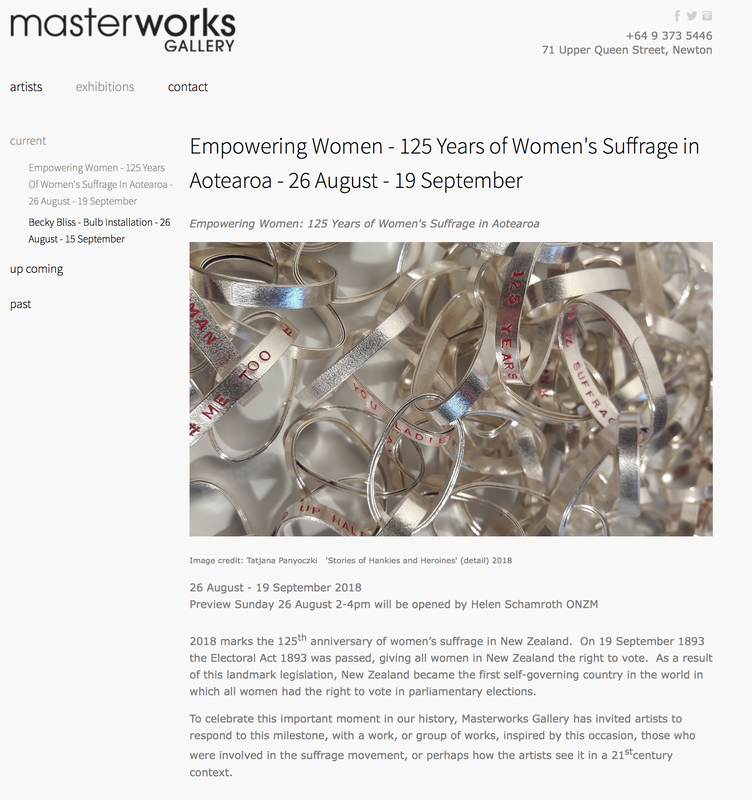 ​The prints will be displayed and archived as part of New Zealand’s 125 Suffrage Celebrations. 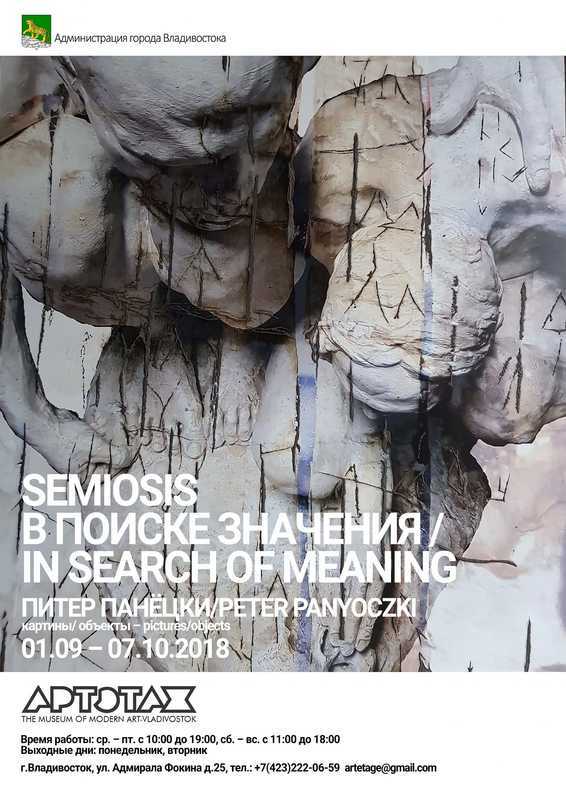 Tatjana Panyoczki exhibits in group show at Masterworks. 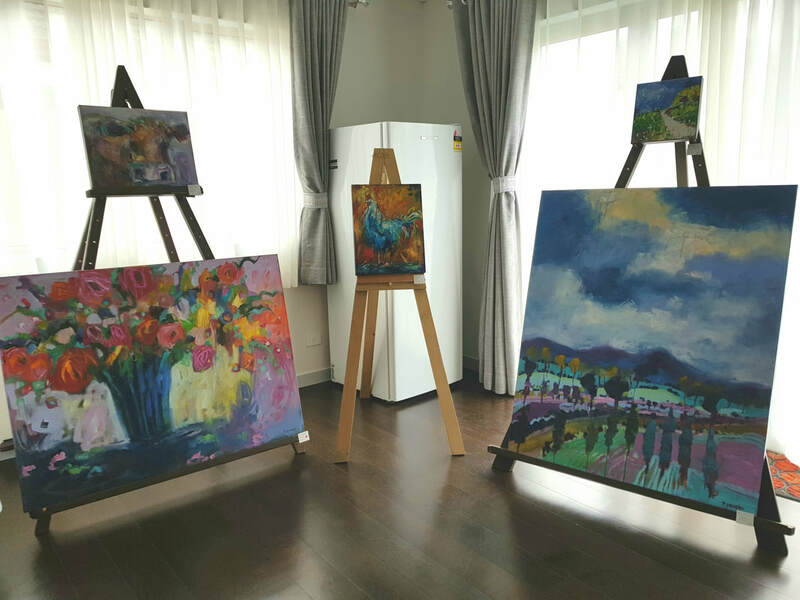 The exhibition, aptly named Closure, is a collection of started projects awaiting finishing, which were completed especially for the gallery display, to make way at home for more artistic ventures. 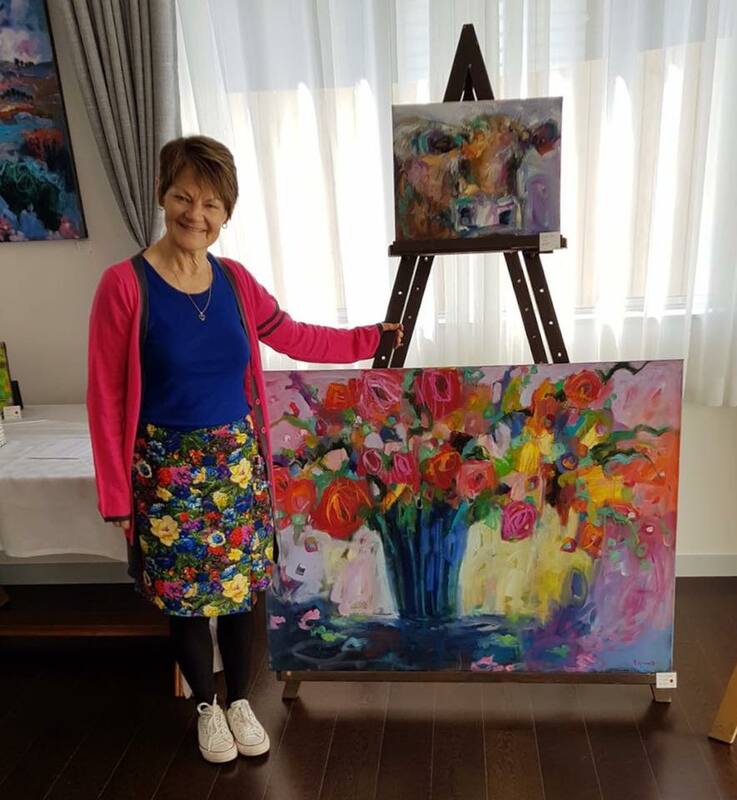 ”I’m delighted to have the gallery now redecorated to enable us to exhibit many artists work at the same time and we want to encourage locals to bring visitors to the gallery,” said Mrs Mortensen. "North meets South" exhibition at the Yellow House Cafe , Whanganui. 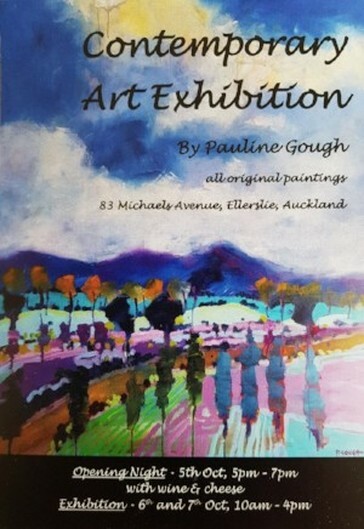 Mangawhai artists John Ecuyer, Mark Graham, Jeanette Vickers, Wendy Clifford, Lindsey Blanchett-Burton, Donna Shadick, Rebecca Clist, Leslie Cleary, Nicola Everett, Lynn Middleton and Rosina Kamphuis are exhibiting in "North meets South" exhibition at the Yellow House Cafe , Whanganui, until the end of March. 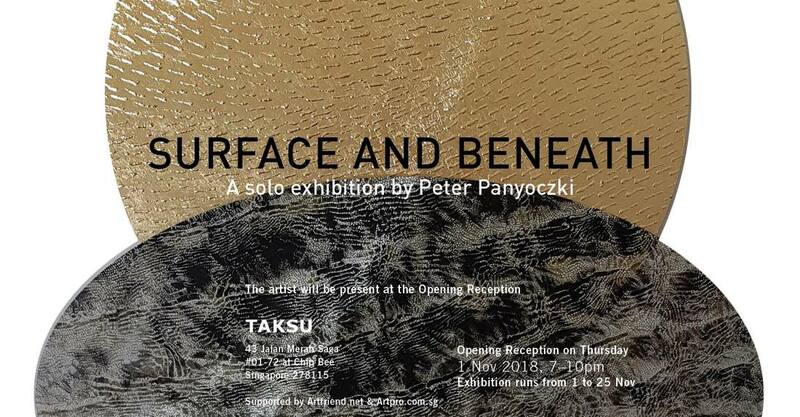 ​The exhibition features prints, photography, painting and wood carving, until the end of March. 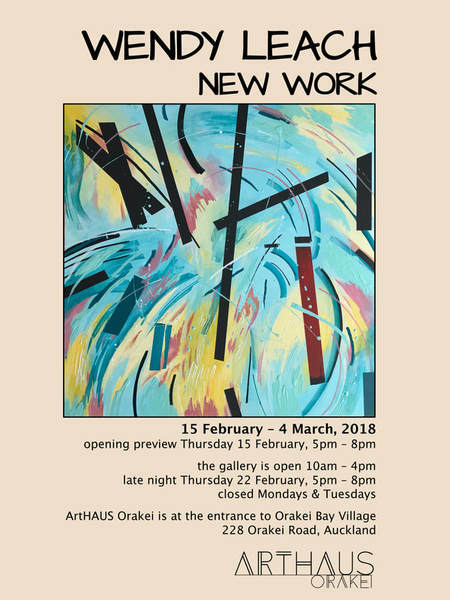 showing at ArtHAUS Orakei, Auckland, until 4 March. A veteran on the art circuit, Wendy Leach's new works have intentionally changed direction from the paintings that defined her as an artist over the last 2 decades. Past landscapes and interiors had a strong sense of place and presence marking her travels and journeys. Leach's new works explode with abstract energy, new vigour and freedom after an extended European sojourn. 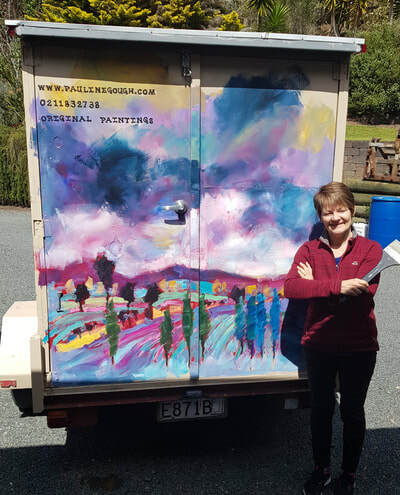 Her approach is intuitive - she paints autonomously, free from external influence - avoiding subject and genre yet there is structure, line and rhythm. Her mark making skills are strong as she plays with swirls, splashes and drips - perhaps evoking Pollock and Kandinsky. There is also a strong correlation between her new painted works and her 'painting with light' photographic series of recent years. Initially the new works started off on black canvas resulting in bright complementary opaque color and through gradual process, the paintings lighten, back to white canvas and high key translucent color. 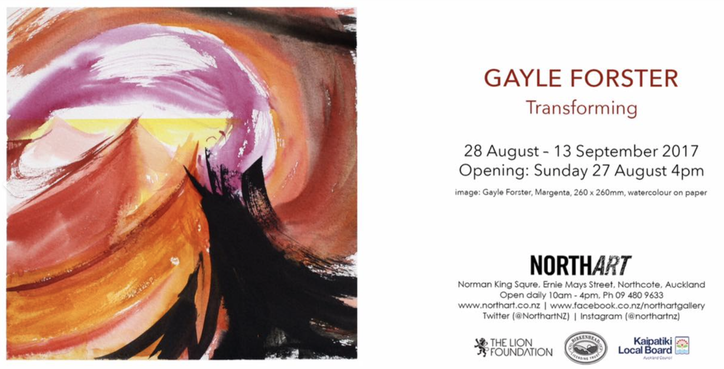 This is an important exhibition signifying a new and different direction. 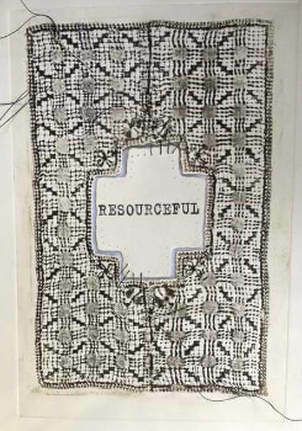 The show is well curated and in context of where the artist Wendy Leach stands creatively today."